UChicago hosted its annual Martin Luther King, Jr. commemoration celebration at Rockefeller Memorial Chapel yesterday evening. Judy Richardson, the film producer well-known for her work on the PBS series Eyes on the Prize, a 14-hour-long documentary on the civil rights movement, was this year’s featured guest. 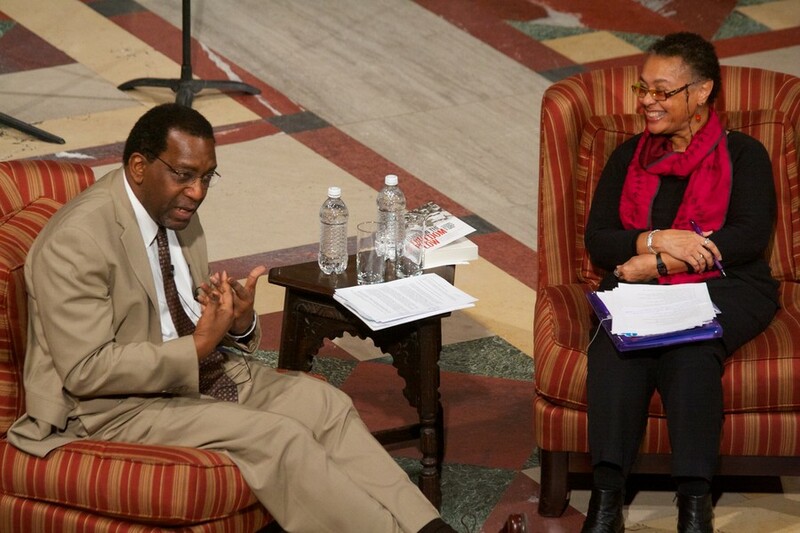 Charles Payne, Frank P. Hixon Distinguished Service Professor at the School of Social Service Administration and author of several histories on the civil rights movement, engaged Richardson in a conversation about her involvement with the Student Nonviolent Coordinating Committee (SNCC), one of the only youth-led civil rights organizations during the civil rights movement. Richardson said that while she was at Swarthmore College, she and her seven black classmates went to Cambridge, Maryland, each weekend because of its thriving civil rights scene. It was on one of these trips that she went to Washington, D.C., where she visited SNCC’s national office and began her involvement with the organization. “The idea was if you do nothing, nothing happens,” she said. The conversation between Payne and Richardson then veered toward her work in historicizing the movement with Eyes on the Prize. As education director of the project, Richardson said that prior to filming, she spent over six months researching how the movement was galvanized in the South, particularly in Montgomery, Alabama, the place of Rosa Parks’s infamous protest. Richardson’s research led her to call Jo Ann Robinson, the co-chair of the Women’s Political Council, an organization that began advocating for racial equality in the 1950s, years before Martin Luther King Jr. took the lead. “You mean it wasn’t only Dr. King?” Richardson remembered thinking. She realized that there were similar local movements across the country that had not yet been storied, and she considered it important that she include their narratives in the film. Richardson then discussed her later work to bring publicity to those in the civil rights movement who were not well known through her 2011 book Hands on the Freedom Plow: Personal Accounts by Women in SNCC. The book tells the stories of 52 ordinary women involved with the SNCC. The common thread between them, according to Richardson, was courage — something that she believed defined the movement.